Western Province Minister sets economic empowerment programmes such as the Cashew nut project as one of the key performance areas by which his tenure of office will be define by. Speaking when he addressed Civil Servants in Sesheke District recently, Mr Nathanial Mubukwanu said that there are a lot of economic programmes that government and cooperating partners have funded in the Province that have not realised intended goals. “I will ensure that all projects that have been started translate into meaningful poverty reduction projects,” he said. The minister cited the US$55.4 Million Cashew Nut Project as a ‘gold mine’ that the people of Western Province can use to emancipate themselves from poverty. 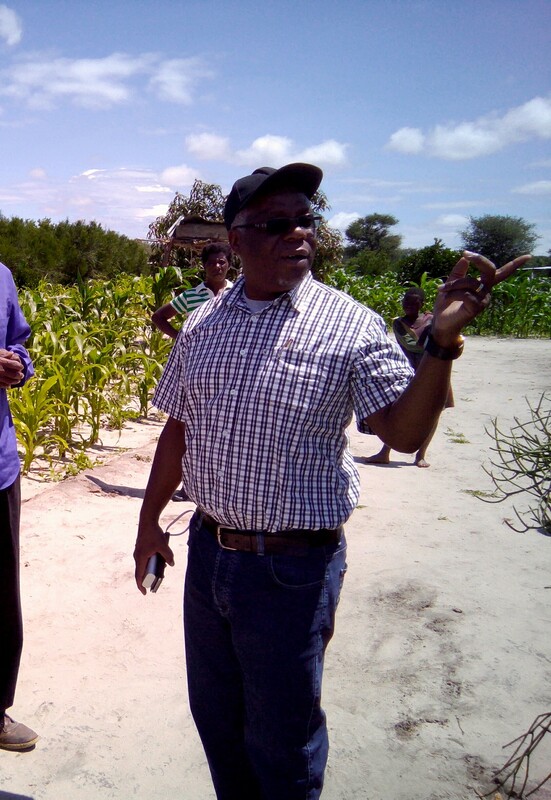 “The cashew nut project will be rolled out across the province as early as possible in order for many people to reap its benefits,” Mr. Mubukwanu said. He said that supermarkets like Shoprite are ready markets for the commodity and its demand is there across the world. “I have spoken to Shoprite Checkers and they are ready to buy a lot of Cashew nuts from us. The price of Cashew nuts per tonne is higher than that of copper, hence this project will greatly improve the economy of the Province,” the Minister said. He said that in future, there will be need for each province to be aware of how much it is contributing to the national coffers and Western Province should hold its head high in this aspect. “Western Province should be proud of how much it will contribute to the national treasury through the Cashew Nut project because it will generate a lot of income for the targeted farmers and for the nation as large,” Mr. Mubukwanu noted. The Cashew Nut Project which was launched in 2015 and being implemented in Western Province of Zambia is a US$55.4 Million Project that is being funded by the African Development Bank with partnership with the Zambian government. Explain to us how the trickle down effect will improve the lives of the people. Don’t just talk. Well you’re a politician. Ain’t the first politician to say that about the those cashew nuts from Western province. I just pity for Zambian farmers. @1 Lombe, AGREED! These PF chaps are VERY POOR COMMUNICATORS , even if he was addressing “INFORMED” Civil Servants, he needed to EXPLAIN HOW CASHEW FARMING WILL REDUCE POVERTY. It is HARD FOR A COMMON VILLAGER TO SEE THE LINK BETWEEN COMPARISON OF COPPER PRICES and CASHEW PRICES and HOW SHOPRITE AND GOVERNMENT will ENSURE THAT FARMERS GET A FAIR RETURN!! @1.3 Ken, Read well my comment! Yes he was talking to Civil servant as I have said they are well informed! But don’t think some numbers could tell more of the story? For example, what will be wrong to say the TARGETED NUMBER OF FARMERS per district and HOW THAT TRANSLATES INTO HOUSEHOLDS OR FAMILIES that will be POSITIVELY IMPACTED to REDUCE POVERTY? What about telling us and the same civil servants he was addressing the TARGETED HECTORAGE and TONNAGE and EXPECTED EARNINGS IN THE COMING YEARS for him to GIVE AN IDEA OF HOW THE PROVINCE WILL CONTRIBUTE TO THE TREASURY? The BIG PROBLEM IN OUR COUNTRY, WE FEAR FACTS and WISH TO HIDE IN GENERALITIES and AMBIGUITIES, and sometimes LIES!! D &R 1.1 even in KK ‘s era it was the sing song and I don’t know when we shall see the end product. How many times have we heard the same project in Western? It has already FAILED SEVERAL TIMES as the conditions are not right for cashew growing, regardless of what highly paid “consultants” come and say to you. Next we will be hearing that a New Pineapple Project idea will make Mwinilunga district very rich. Why do people forget what has happened instead of learning! How can we make the same mistakes over and over again and pay foreign con-artists millions? Western Province has potential to producing the following goods : oil, gas, diamonds, rice and cashew nuts . OK so maybe you can explain why it so far has never produced any of these goods even in colonial times and even in the 53 years since independence, there is nothing? I CAN’T IMAGINE LT COULD NOT SHOW THE READERSHIP THE CURRENT PICTURES OF THESE CAHEW NUT PLANTATIONS, BALANGA POFYE ICIMUNTU LEAVING THE SUBJECT MATTER. GUYS I M LOOKING FOR REAL NEWSPAPERS WITH PROFESSIONAL REPORTING TAKING ADVANTAGE OF MODERN TECHNOLOGY- CAN ANYONE SUGGEST A FEW NEWSPAPERS TO ME, GUYS? You do not get a yield from cashew nut trees for the first 4 to 5 years…. that is why projects fail because how do they live in those first years, how do they pay for specific fertilizer. When cashews eventually are COMMERCIALLY viable who will process, grade them and market them. Processing requires, deshelling them, but the hard oart is to roast them to the required colour that is in demand on the world market… prices realised depend on size, quality and correct processing.. not an easy project for one with no back up capital for the first 4 to 5 years.